In March, 2006, Twitter launched its micro-blogging platform. Eight years later, millions of users are using the service to send 140-character stories about news, cats, and even art. 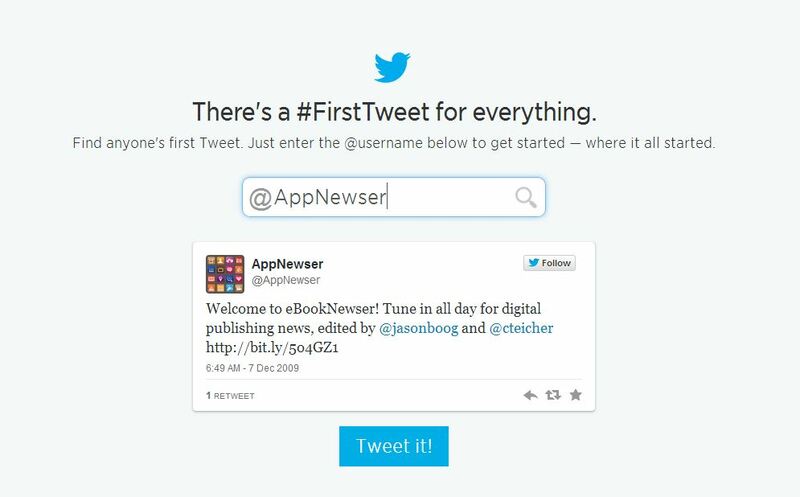 To celebrate, Twitter is inviting all users to discover #FirstTweet – from any users. It’s a fun way to time-travel. You can celebrate your #FirstTweet, too. Using this Tweet tool, you can look back to find your very first Tweet — or for that matter, anyone else’s. Just type in your @username, or that of anyone — your best pal, favorite comedian, a star or a president.